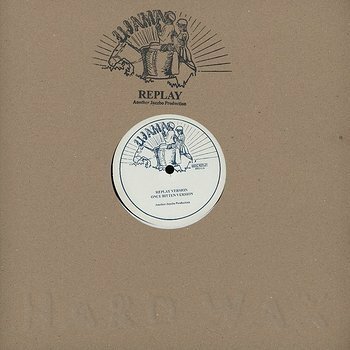 Four riveting, deeply grooving digital-dub productions for his own Ujama label by the great deejay Prince Jazzbo — widely celebrated for such toasts as Imperial I, Mr Harry Skank and Natty Passing Through Rome for the likes of Coxsone Dodd, Glen Brown and Lee Perry. From the late-80s, sides like these announced a new era in reggae. Replay Version sets the mood here — malevolent, sick and paranoid, but haunting, and funky like a train, with cruelly brilliant effects; really a stunning piece of music.